I’ve made many, many Nutella cookie variations and here is my latest one: Soft Nutella Chocolate Chip Cookies. 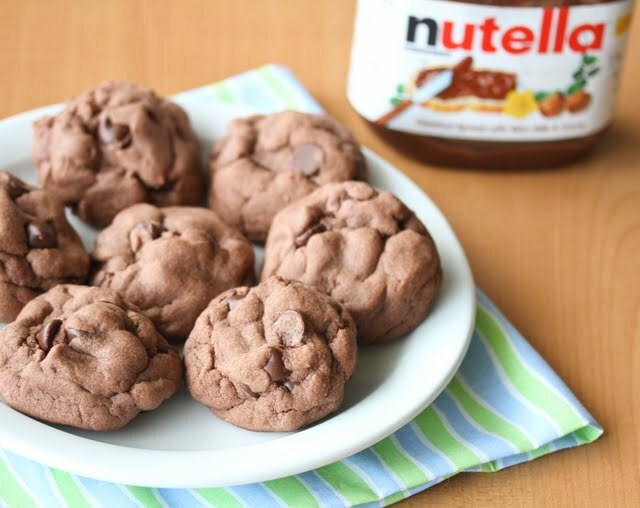 I took my favorite soft chocolate chip cookie recipe and adapted it to incorporate Nutella. The cookies came out soft and slightly fudgy. The cookies are really good, though the Nutella flavor is really light. 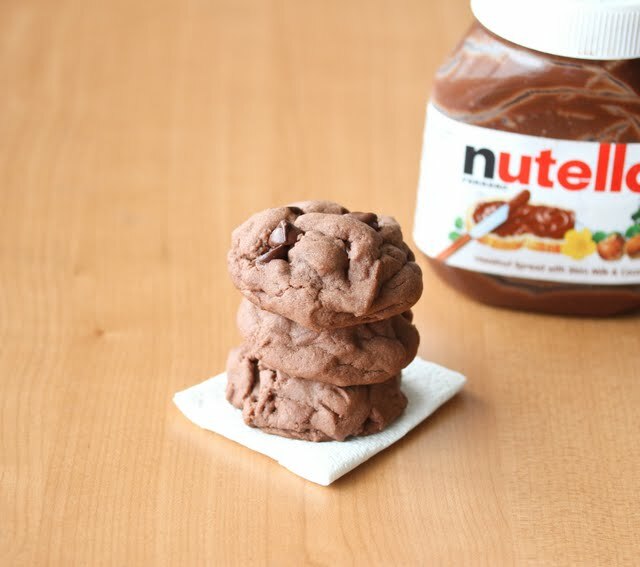 The Nutella causes the middle of the cookies to have a little fudginess. They also stay soft for a really long time thanks to the pudding mix. I’d make these again, though I might swirl some Nutella directly into the dough next time for a more intense Nutella flavor. 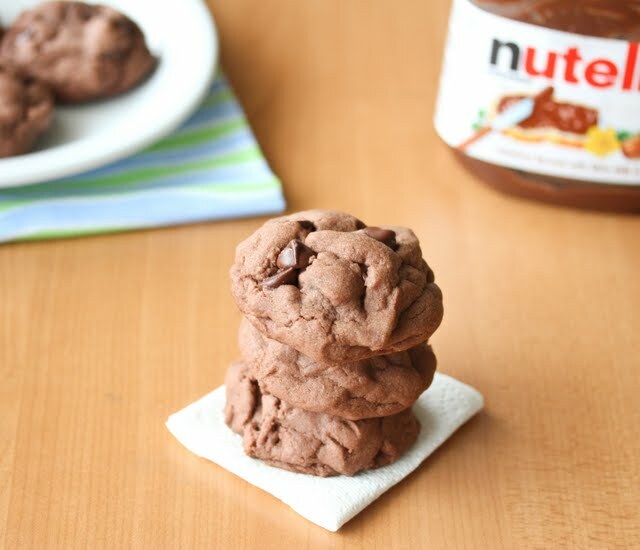 These cookies come out soft and slightly fudgy and are lightly flavored with Nutella. Preheat oven to 350°F. 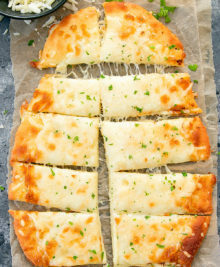 Sift together the flour and baking soda, set aside. 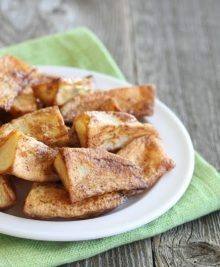 In a large bowl, cream together the butter, brown sugar, and white sugar until creamy and fluffy. Beat in the instant pudding mix until blended. Beat in the eggs, Nutella and vanilla. Mix in the flour mixture at low speed. Stir in the chocolate chips, until fully incorporated into the dough. Make balls of cookie dough, about 1 1/2 inch in diameter and place on cookie sheets lined with parchment paper or silpat mats, spacing dough balls about 2 inches apart..
Bake for about 10 minutes. Let cookies cool on cookie sheets before removing. 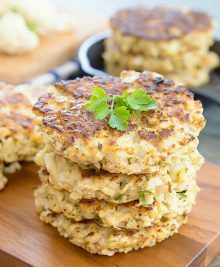 Sometimes it’s just one word in a recipe that draws you in for more. It was nutella this time. This is just the cookie for the holidays! 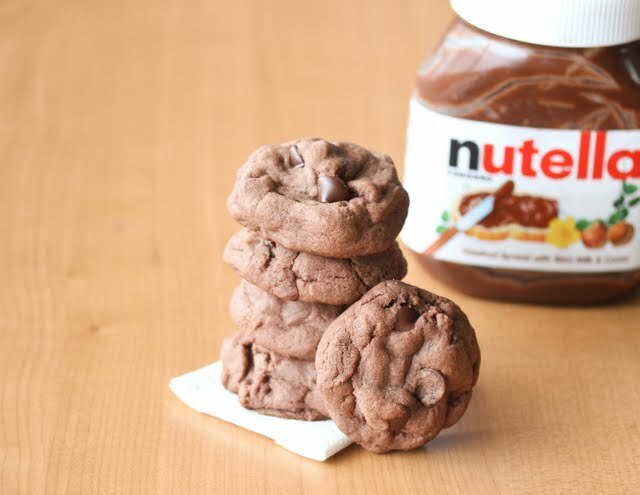 ohhh these do look good, but i agree that swirling nutella directly into the dough would be a yummy take on these! What can I replace by 1 (3.4 ounce) package instant chocolate pudding mix? I’m French and i live in Germany. I think I do not have this product in supermarkets at home. Someone previously commented on another one of my posts and said she was able to find a recipe/substitute for dry pudding mix. You might want to try googling and searching for substitute for dry pudding mix. Hope you find something! 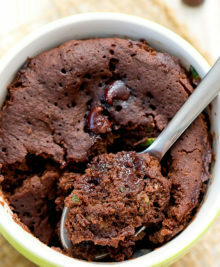 Someone else also told me that the recipe worked even without the pudding mix, but I haven’t yet tried that. Omg these are awesome. My daughter and I forgot the pudding mix and chocolate chips but they came out great!! !